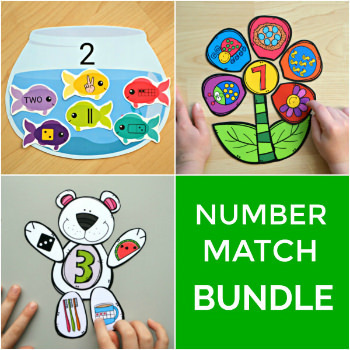 This cute Build a Bear Number Match printable will help your kids build a strong number sense! It is an important skill for future understanding of more complex math topics, so let’s make it fun! 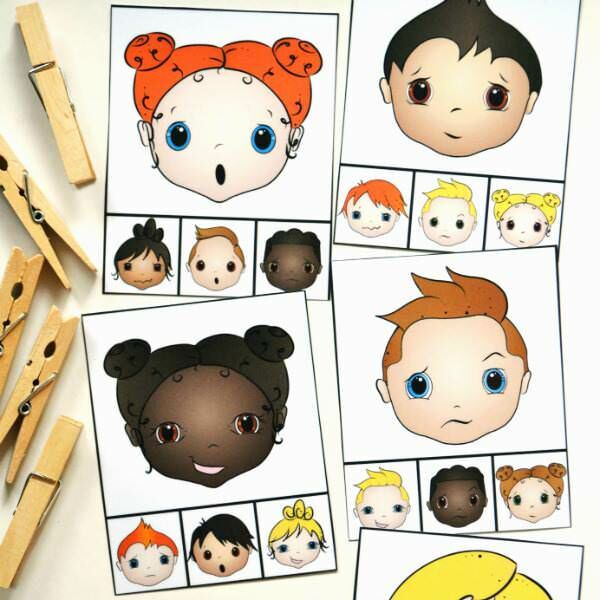 Numbers can be represented in different ways such as pictures, tens frames, tally marks and others. 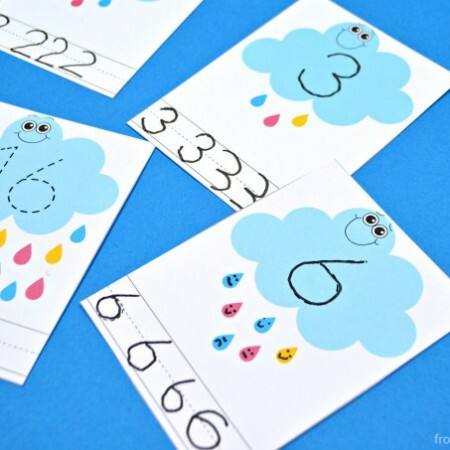 This printable activity includes numbers from 1-20, so it’s perfect for kids who are just learning numbers and those who are working on double digit numbers as well. 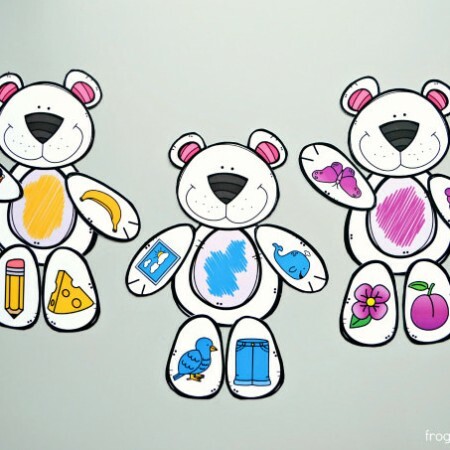 Your kids will build the number bears by counting the bees, watermelon seeds, fingers on a hand, dots on a hot cocoa tens frame, toothbrush and carrot shaped tally marks and more! 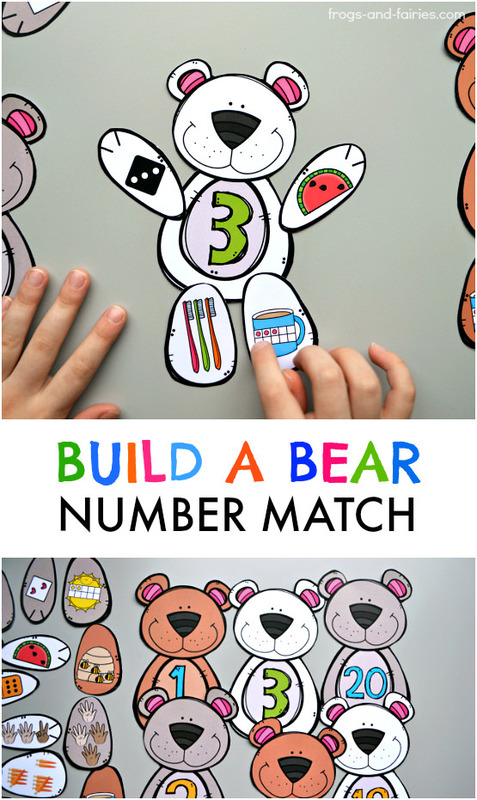 This printable number match activity features bear pieces with a lot of different and colorful images, to make sure your kids stay engaged and also have a lot of fun practicing! Consider starting with small groups of numbers first. Depending on your kids, you may or may not use all of the 20 numbers at once. To purchase the Build a Bear Number Match, click HERE. 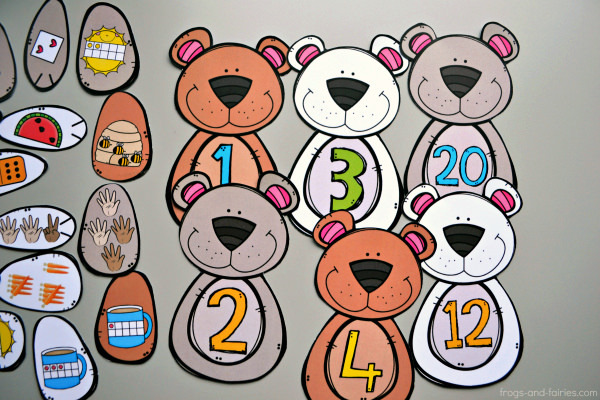 This printable PDF includes 10 pages of 20 x 5 number bear pieces. 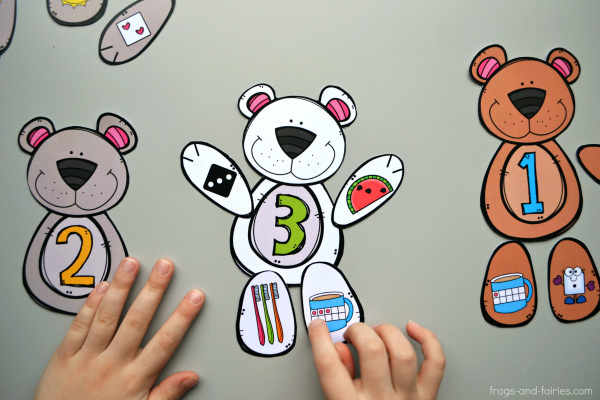 TO PLAY: Let your kids match number arm and legs to the number on the bear. Have fun! Hi! Yes, we added this option and you can pay with credit card now. On the checkout page, you can choose either Paypal or Credit card payment option. In case you’re having problems, I also have a Teachers Pay Teachers shop and they accept credit cards as well. Thank you! Bună! Da, am adăugat această opțiune și puteți plăti cu cardul de credit acum. Pe pagina de plată puteți alege fie opțiunea de plată Paypal, fie plata prin card de credit. 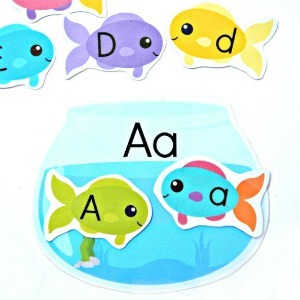 În cazul în care aveți probleme, am și un magazin Teachers Pay Teachers și acceptă și carduri de credit. Mulțumesc!